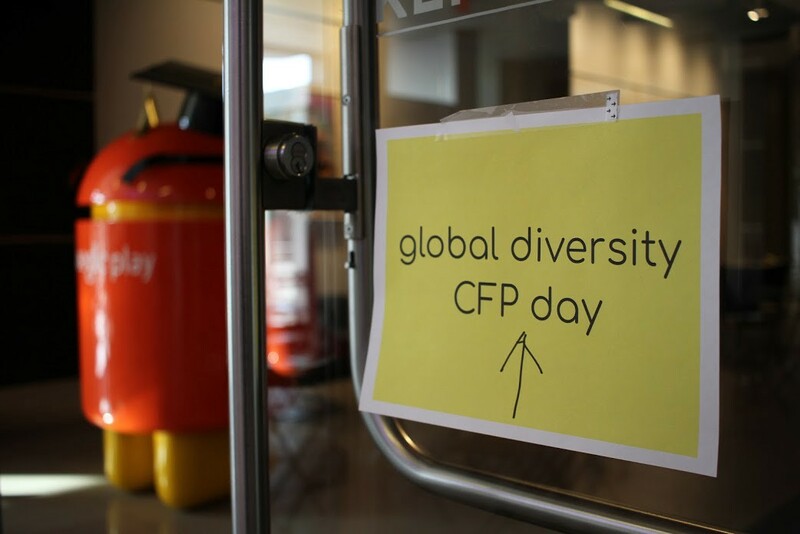 On February 3, volunteers from over 50 cities around the globe hosted Global Diversity CFP Day workshops meant to encourage and support new speakers as they develop talk proposals and prepare for their first time on stage. The community event is based on workshops held in advance of ScotlandCSS and ScotlandJS 2016, and aims to increase diversity on the speaking circuit, particularly in tech. As developer advocates, our team spends a lot of time thinking both about how to support diverse tech communities and how to hone our stagecraft, so the event was a natural fit for many of us who took part either as participants or as mentors in our home cities. Each of us had her own reasons for participating and her own takeaways from the experience. Margriet Groenendijk, Lorna Mitchell, and I share our reflections below. I attended the workshop in Bristol. Although I got into public speaking only two years ago, I signed up as a mentor as the feeling of starting out is still fresh to me. My goal for the day was to help people with structuring their ideas into a talk proposal, and more importantly to get across that public speaking is for everyone, as there are always other people out there struggling with the same problems who would love to hear about your solutions. Over the course of day’s activities, we went through the whole process of brainstorming and structuring talk ideas, drafting a bio, coming up with a title, and writing the proposal itself. The hardest part for most (including me) was turning an idea into a structured story that you could talk about for 20, 30, or even 45 minutes. 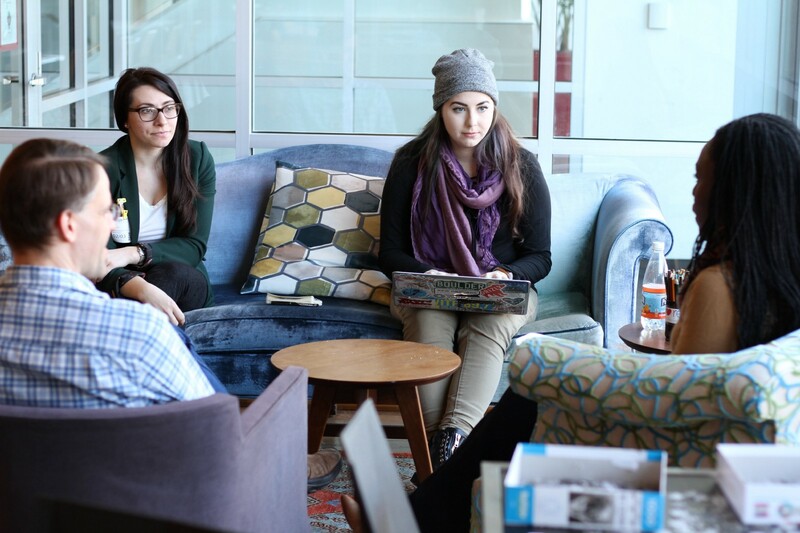 We spent quite some time discussing ideas and finding stories and examples to make these ideas more concrete. Another thing that is so much easier to do together with others than on your own is writing a bio about yourself. Finding the words to describe yourself by going through some interview questions with a partner was really fun. I had an amazing day where I learned loads on how to prepare future talks. My main takeaway is that this day helped people so much with the confidence needed to get started with public speaking. The workshop was an excellent way to explore what public speaking is about and I really hope a lot of new talks will come out of it. I am always happy to help or bounce ideas around if anyone gets stuck. I participated as a mentor for the Leeds event. When I saw the global event mentioned on Twitter a few months ago, I went to sign up to run an event and saw that excellent local speaker Katie Fenn had already volunteered, so we joined forces. I’ve been a female speaker on the technical conference circuit for a decade, I’m a regular at my local meetups, and I also help organise a few events. It means so much to me to see new speakers and to hear their voices, their stories. It’s always been really helpful to me to get advice from people that I identified with, and comforting that I’m not alone in my experiences. So many women have taken the time to listen and give advice to me, and I was so happy to show up to an event like this — just in case any other women felt the same way. My day was also improved by writing some new abstracts of my own while sitting with the group I was mentoring! There was time set aside for brainstorming and writing an abstract, and it’s about time I came up with something new… so I went for it and had some excellent feedback from these new speakers with fresh perspectives. As a long-time event organizer who often sees the same set of speakers featured at a wide variety of tech conferences, I was thrilled to hear about Global Diversity CFP Day’s efforts to get a more balanced representation of awesome folks on stage. I’ve been on stage plenty myself during a childhood of concerts and theater productions, but have only recently come up with some concepts I’d love to share behind the mic at a tech event. For me, the event in Boston was well timed to help me improve the abstracts I’ve just recently started submitting to conferences. As a junior front-end web developer, I have a bit of imposter syndrome when it comes to getting on stage at a tech conference and sharing what I’ve learned. One of my favorite takeaways from the event was the reassurance that beginners — who make up a decent percentage of conference attendees — love talks from people not much more experienced than they are. A speaker who’s closer in experience level to their audience is often in a better position to explain concepts in a comprehensible way than someone more experienced might be. Another key takeaway was the advice to use a blog post as a precursor to a conference talk. While you’re working through ideas for a potential talk, reaction to a blog post can be a way to judge the popularity of a topic (if of course you have access to a reasonable following on your blogging platform). Before crafting a slide deck, a post can be a way to pull together the ideas — and even code snippets — that you’ll need to support your story, which you can then use as a way to structure your presentation. The day was full of supportive people and helpful advice, as well as some very positive reactions to the talk ideas I shared, so I’m feeling energized as I scout out more conferences to submit to. For more reflections on Global Diversity CFP Day, take a scroll through the global organizers’ Twitter account for blog posts being shared. If you’re looking for speaking opportunities, that’s also a great place to find messages from conference organizers eager to receive proposals from new speakers. Good luck on stage!